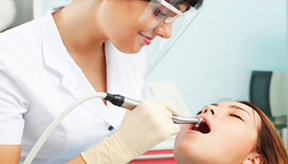 We are the most modern, high-tech, artistic, ethical dental facility in Lahore. 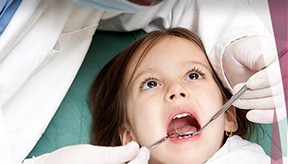 Periodontology (Periodontics) is the specific aspect of dentistry that studies the supporting structures of the teeth and the diseases that affect them. 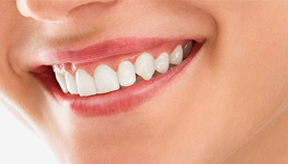 The supporting structures or tissues are collectively known as the periodontium which comprises of the gums (or gingiva), cementum, alveolar region and periodontal ligament. 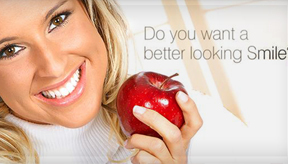 Our specialist periodontists help patients to achieve and maintain the best possible periodontal health. 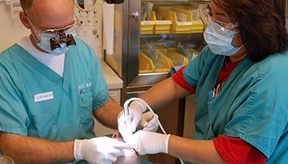 The treatment philosophy embraces the best available periodontal and implant care and hygiene with proven effectiveness. The Doyens of Periodontics, Dr. Amjad Ali ( DDS-NYU USA) and Dr. Abid Ashar BDS (Pak) FDSRCS (England) who are members of American Dental Association,with their isolated and Eccentric dexterity , render their services in this regard at Dental Professionals- Your teeth's best pal. 134, B-E/1 GulbergIII, Main Boulevard Near Liberty Roundabout, Lahore, Pakistan.